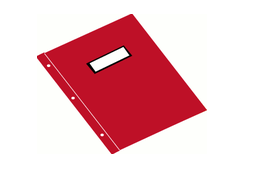 Adult Helper Folder - Amy Speech & Language Therapy, Inc.
Are you starting employment in a Skilled Nursing Facility, Long Term Care, Rehab, or Acute Care after working in peds for years and are nervous about the paperwork, difference in medical language, and goals? Or are you a new grad worrying about remembering the format and short hand language in the medical field? Then this is the package for you! I'm always asked to assist other SLP's with the medical language and provide samples of evaluations and SOAPs to help with the process. Along with those documents, I'll include some of my other favorite docs or cheat sheets as I like to refer to them, that I keep in my special little folder that I always carry with me everywhere I go! (that is, everywhere I go when I know I'll be seeing patients!!!) So take a look, and as always, feel free to email me at amyreinsteinslp@gmail.com if you would like additional information on this package, would like to learn more about specific documents, or would like to request specific documents. The Adult SOAPS & Evaluation Helper File contains examples of SOAP, Progress Notes, and Evaluations as well as what should be included in a bedside evaluation for $11.99. If you only need help writing goals you can purchase this comprehensive Adult Goals List for only $9.99 by clicking below.